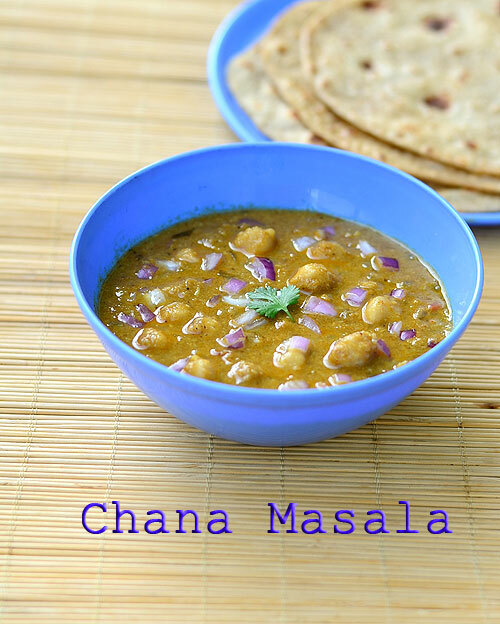 Before going to this recipe,let me tell you,this is not North Indian style Chana masala.This is purely South Indian style kuruma type chana masala (Kondakadalai kurma in Tamil).I followed my Saravana bhavan kurma recipe with small changes and made this korma adding kondakadalai/Chickpeas. You can use black chana as well. 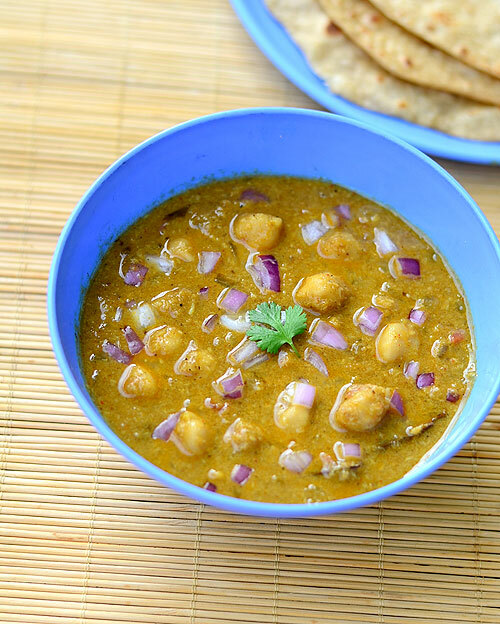 It was very flavorful and the addition of chana made it more healthy too.As suggested by my friend Shalini,I serve this kurma garnished with chopped onions.It adds a great taste and goes well with chapathi, poori & dosa.If you like u can mix this kurma with plain rice and enjoy.Soon I will post North Indian restaurant style chana masala. Wash and soak the chana over night.Pressure cook for two whistles in low flame.You can also add the soaked chana directly to the kurma and pressure cook it.Both works. Heat a pressure cooker base and add oil + ghee.Saute the bayleaf and black stone flower/Kalpasi.Splutter cumin seeds.Add onions,g&g paste and saute till it turns transparent & raw smell goes off.Add mint leaves.Then add the tomato pieces and saute until mushy.Add the ground coconut paste,turmeric powder,red chilli powder and Garam masala powder.Add the required salt and saute well till the raw smell of masala vanishes.Do in medium flame. 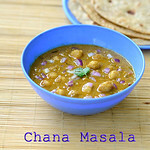 Lastly add the soaked chana( Here I used boiled chana).Mix well and add a 2cups of water. Mix well and add a pinch of kasoori methi and curd.Stir well and pressure cook in low flame for just one whistle.Chana kurma is ready to serve !! Enjoy with chapathi ,poori or parota.It tasted great with dosa too! Grinding part is the highlight of this kurma.So please don’t omit any ingredient from it.No worries if you don’t add khus khus.But the remaining are must. You can try to replace Red chilli powder with chana masala powder if you have.But adjust the quantity as per your wish. 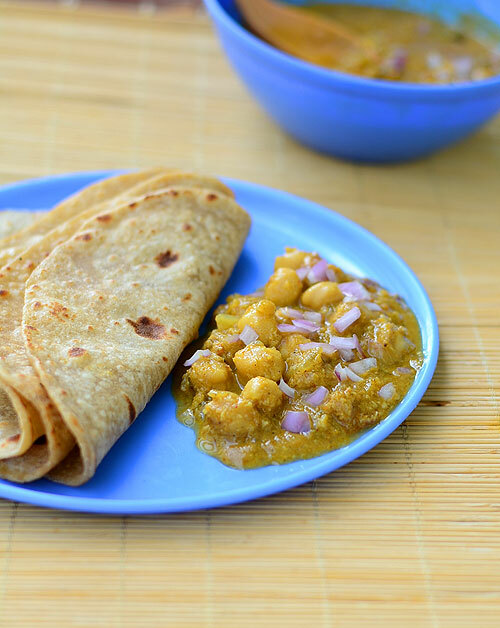 Try this yummy channa kurma for roti/Parota,enjoy your food !! I tried it comes out yummyyyy... Love it.. I was searching for this recipe. I had eaten this at a south indian restaurant . It had aloo and chala and was golden yellow in colour as opposed to red or dark red of Punjabi chhole. Thank you for posting this. I didn't know it is saravana bhavan recipe! Its a South Indian style Kurma. Do give a try. Hope you will like it.